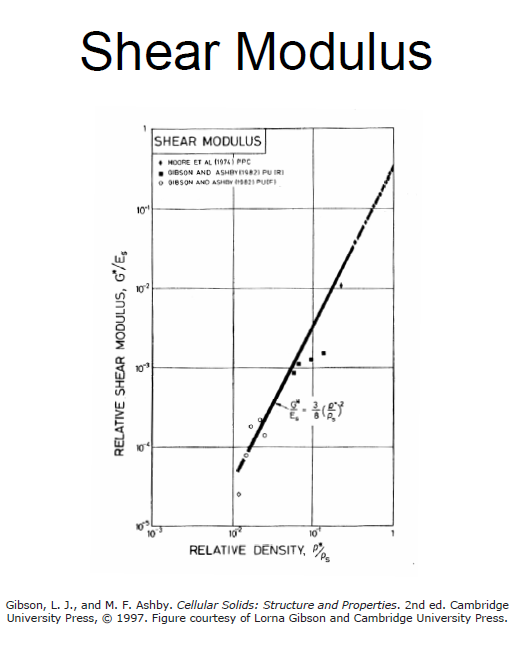 Like already shown in a previous post; the course notes of Lorna Gibson at MIT allow us to extrapolate the mechanical properties of cellular glass. 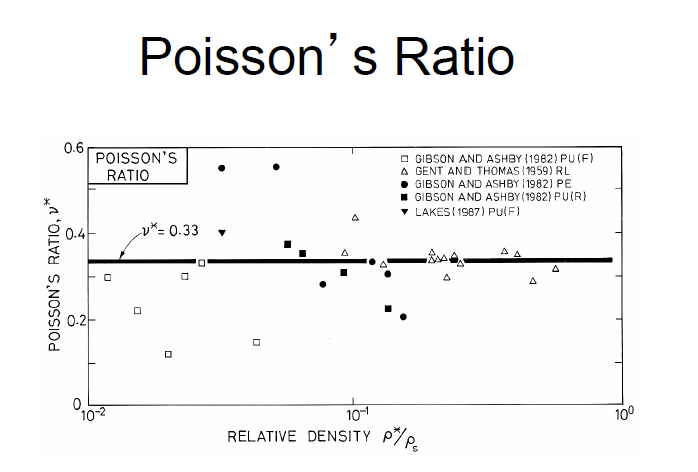 The course notes give these properties in function of the density. 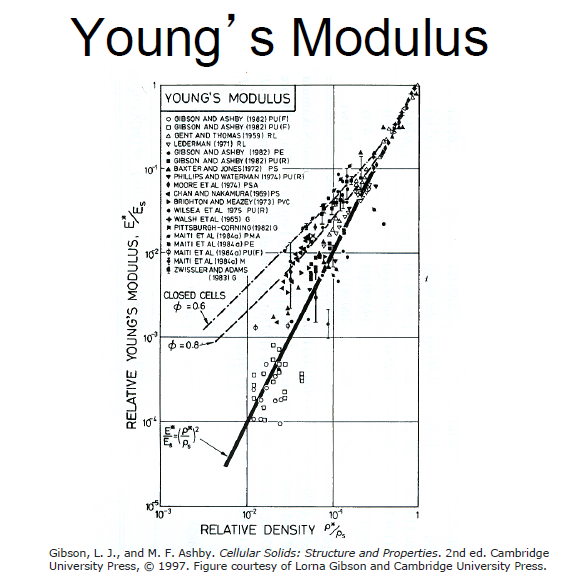 Young and shear modulus depend quadratic on the density while the Poisson’s ratio seems density independent. The best guess for the last one, independent of the base material is 0.33 . This entry was posted in Uncategorized by belglas. Bookmark the permalink. Thoughtful suggestions ! I was enlightened by the facts ! Does anyone know where my business would be able to access a fillable NJ CN 11380-English example to type on ?